Good news everyone, we’re going to have an MLS season! After waiting until the 11th hour, the two sides finally agreed to a new CBA which ensures there will be no games missed during the 2015 season and the new MLS campaign will begin on time. Given the importance of MLS moving into its new landmark television deal with Fox and ESPN, it’s absolutely pivotal that an agreement was made with a huge promotional push currently taking place on both networks. One of the reasons this season is so important to MLS is that it’s the first time the network will have consistent broadcast windows with a doubleheader on ESPN2 and Fox Sports 1. ESPN has had a long history with MLS and returns Adrian Healey and Taylor Twellman as their broadcast team. With Fox making its MLS debut and a number of free agent acquisitions to bolster their soccer coverage, there’s certainly more intrigue into what the new MLS on FS1 package will look like. 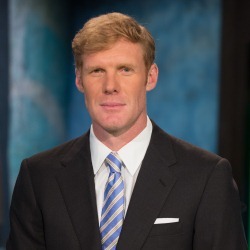 Fox Sports has revealed today that the newly acquired John Strong and Alexi Lalas will be their lead announce team for MLS. SI scribe Grant Wahl will serve as the sideline reporter. Julie Stewart-Binks will also appear as a sideline reporter throughout the season. The pair have been calling some Europa League games together, although it’ll be interesting to see how Lalas makes the transition from studio to game analyst. In the studio, Rob Stone will anchor coverage with Eric Wynalda and Stuart Holden. Oh, and there’s another familiar face as well – Landon Donovan. This Sunday FS1 airs an opening weekend MLS doubleheader. Strong-Lalas-Wahl will call the nightcap of Sounders-Revolution while the network’s #2 team of JP Dellacamera and Brad Friedel will call Sporting KC-NYRB with Stewart-Binks on the sidelines. Now that we finally know who will staff Fox’s MLS coverage, it’s a good bet that these folks will form the core of their 2015 World Cup coverage as well.